Nick has been a consultant since 1997. A lively and incisive presenter, Nick joined Opsis in 1997 and works in the design and delivery of leadership development and management skills courses internationally, as well as co-ordinating the provision of psychometric services. Nick’s passion is working with people and organisations as they identify, build and sustain positive changes in their life. After an early career in marketing management with the TI Group Nick then joined the Leeds office of Heidrick & Struggles, the international head-hunters, as their first Research Manager, and then the Leeds and London offices of executive search market leaders Goddard Kay Rogers (GKR) as search & selection consultant, before joining a regional leader in recruitment to expand their recruitment activities. 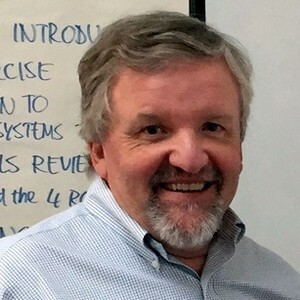 Here he was instrumental in introducing executive search practices to their portfolio and also developed their services in both psychometric assessment and competency-based approaches to selection and development, all for a broad range of plc’s internationally. This included the use of Assessment and Development Centres for large-scale shopfloor, as well as management recruitment. Nick is an accredited Six Thinking Hats facilitator, coach with Insights Learning & Development, as well as an Insights Discovery Licensed Practitioner. He is also qualified (to British Psychological Society Level B), to administer and interpret many major critical reasoning and personality questionnaires, which are regularly incorporated into Opsis training and development programmes – chiefly SHL’s OPQ32, Myers Briggs Type Inventory Type 1 and 2, Belbin’s Team Types, Strength Deployment Inventory (SDI), as well as others covering emotional intelligence, personal strengths and motivation.